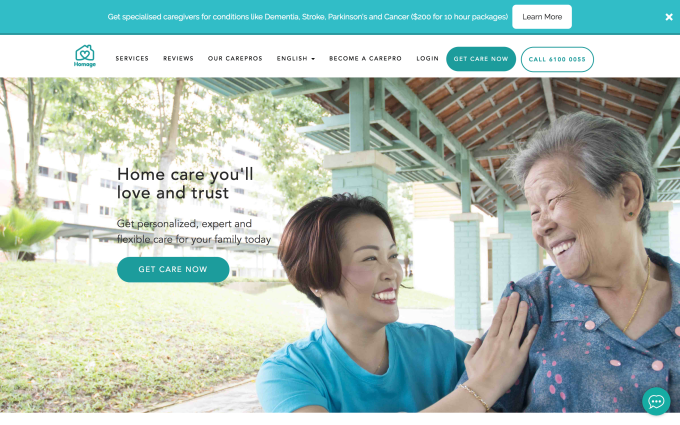 Homage, a Singapore-based startup that helps connect caregivers and organizations with patients and their families, has raised $4.15 million as it begins to eye overseas expansions. The company was started in 2016 by Gillian Tee, a Singaporean who spent time working in the U.S., healthcare industry exec Lily Phang and former banker Tong Duong. Tee’s previous stints include founding Rocketrip, a startup backed by Y Combinator that has raised nearly $20 million, but she moved home after 15 years to be closer to her family. Homage began focused on caregiving for aging patients, but it has since expanded to cover areas such as physiology, speech and occupational therapy — areas for post-strike discharge. It also offers six different apps, which include two for caregivers, two for family members and two for partners, such as NGOs and other care agencies.